Welcome back, Donist World Denizens! For those of you new to our site, I’m Donist, and I am joined by Donist World CFO the Reverse Obie* (my friends’ Boston terrier whose fur recently swapped colors) and by our marketing director / administrative assistant / party planner / banisher of flus Tulip (my dog, Reverse Obie’s sister). The Donist World office (Mom’s Basement) has gone from a seemingly unending remodel to a sick ward this week, as my puppy executive team attempts to bring me back to health so we can continue our quest to solidify Donist World’s position as a Fortune 320,000 company. Tulip is kindly pouring me an Emergen-C and soda-water drink, as Reverse Obie stirs a steaming pot of chicken soup he’s made, and he’s only eaten about half of the chicken; such love! So get plenty of rest, pour yourself a fresh cup of green tea, get that chicken soup cooking, and check-in on an episode or two of the exceptional Stranger Things on Netflix, and most of all read some great comics. Take care. Thank you for reading! Descender #14 - Written by Jeff Lemire, illustrated by Dustin Nguyen, lettered and designed by Steve Wands, published by Image Comics. TIM-21 was inactive for ten years on the dead mining colony before he reactivated to very different world. Thankfully, he was not alone: his trusted robot dog Bandit was there to watch over him the entire time. Denizens, I cannot tell you what a joy it is to find a new copy of Descender in my pull (even though I just told you in writing what a joy it is). I tend to make such Wednesdays truly special by pouring a fancy beer, setting out a piece of chocolate or a cookie, and slowly making my way through what is easily my favorite comic currently being released. Unfortunately, my self-imposed, stupid diet prevented the celebratory beer and cookie this week, but even the absence of such scrumptious delicacies could not diminish my enjoyment of this tremendous series. As I have said with every one of the previous issues, I love everything about this comic, from its ever-expanding roster of compelling characters, to the intriguing mystery behind The Harvesters (giant robots), to the mysteries surrounding TIM-21, to the gorgeous watercolored art, to the design, to the…well…everything. I don’t even have any nitpicks about Descender outside of always needing more more more. With this latest story arc, we get something I have been wanting since issue one: a deeper look into the background of some of the many characters found in this exciting universe. 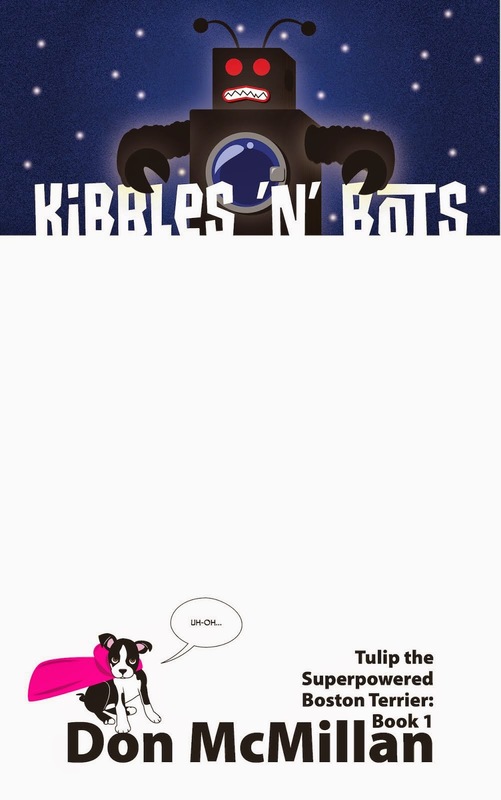 The previous two issues looked at TIM-22 and Telsa, while this issue delves into Bandit, the yappy robotic dog and what it was up to for the ten years TIM-21 was deactivated. For the first time, we see what happened to the mining colony and how Andy, TIM-21’s human brother, survived the disaster. It’s all brutally heartbreaking, but the story, characters, and art enchant you, keeping you thoroughly invested in everything that happens, even when — especially when — the focus is on a robotic dog that looks kinda like the original iMac on wheels. The mostly-silent, goofy, adorable Bandit, succeeds in making this flashback issue yet another great read amongst an entire series of great issues. <sigh> So, I guess I have a month before I get a peek into Andy and Queen Between’s situation, which means I’m in for a painful wait, indeed. But I can tell you this, Denizens, when I find the latest installment in my pull, I think I’ll forget the diet and have the beer and cookie. Y’know. Treat yo self! And you can “treat yo self” to the first two trades of this Donist World Darling today, and experience for yourself this incredible space opera that has me in such a whirl. VERY HIGHLY RECOMMENDED! Power Man & Iron Fist #7 - Written by David Walker, illustrated by Sanford Greene and Flaviano, colored by John Rauch, lettered and produced by Clayton Cowles, published by Image Comics. Danny Rand (aka Iron Fist) is behind bars, and he intends to stay there until he can free — legally, of course — some wrongfully imprisoned men. Luke Cage (aka Power Man) tries to find a way to free his friend. Oh yeah, some “Civil War II” nonsense, too. Dang, I know I say I like to keep things positive — negativity is far too easy to find these days — but there’s no quicker way to irk me than to by forcing an event into a book I’m enjoying. Now, if Power Man & Iron Fist was on issue 24 or something, I might be a little more forgiving, but we only got five issues of this fun comic before the latest event hijacked the story. Okay, “hijacked” is a bit harsh, but you know what I mean. You can almost read this issue and ignore most of the “Civil War II” stuff, but it is there and now it looks like next month’s issue will have yet another superheroes fighting superheroes extravaganza; all I want is to read the story the creators are actually trying to tell. Without all this event stuff, this issue would read so much better. 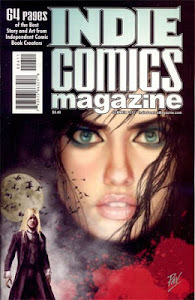 <pfffft> There are also two artists this issue, and I believe a new colorist as well, but I’m not sure. This isn’t necessarily bad, just different and noticeable for those who’ve been with the series since the first issue. Oh, comic book events…so obnoxious. Anyhow, enough with the negativity. This issue is still enjoyable and worth checking out if you liked the first arc. If you are new to the series, however, don’t start here. Instead pick up the first trade in October and see what makes this cool series starring two of my favorite Marvel characters so much fun. Because of the annoying Event this book merely comes as RECOMMENDED! Batman by Neal Adams Omnibus - Written by Neal Adams, Denny O’Neil, and others, illustrated by Neal Adams, published by DC Comics. From the ’60s to nowadays, the masterful art of Neal Adams is something most heavenly to behold. He writes some of these tales, too! 37…38…<grrrrrr>…39…<huff><puff>…40! <phew> Oh, hi there, Denizens. Don’t mind me, I was just getting a quick workout in by bench pressing my copy of Batman by Neal Adams Omnibus. 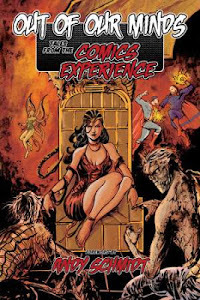 At a whopping 640 pages of Neal Adams awesomeness, you might need a spotter to help you read this beast of a book as it is easily the heaviest publication to be found anywhere in the Donist home . But regardless of how you manage to actually read this conversation starter, just be sure you actually read it. It is truly out of this world. I’m not about to go in depth about every story in this collection, or about the loads of backup material, or the oh-so-lovely covers, but I will mention a couple things that really resonated with me. One of the main bits of nostalgia that grabbed hold of my heart is the inclusion of the “Robin Meets Man-Bat” story originally found on the Power Records set of the same name. Now, I owned a bunch of Power Records’s offerings back when I was a wee Donist, but this one was one of my favorites. Heck, I nearly wore out the dang 45 from how often I played it in my room (you can check it out on YouTube here!). I LOVED this story, and reading it all these decades later it is safe to say it still holds up to the test of time, only with the added benefit of now having a finer appreciation of Adams’s artistry. Come to think of it, I love all of the Man-Bat issues included in this volume. You also get Deadman, and wacky contests between Batman and Superman where they award one another trophies. There’s something called a Hellgramite (the writer really loves to say the word “Hellgramite” throughout the tale) in a story that involves the Creeper. There are ghosts, Teen Titans, Sergeant Rock, timeless lovers, The House of Mystery, ummmm…circus folk including a boy called…ummm…Flippy, Ras Al Ghul is all over the place, groovy teenagers on the pot (or something else), the Joker, corrupt politicians, and, again, so much more. When I say “so much more” (for the umpteenth time), what I mean is all 13 issues of Batman Odyssey. Batman Odyssey was released between 2010 and 2012 and is written and illustrated by Adams. If you want me to tell you what it is about, it is quite simple. It’s a tale wherein Bruce Wayne tells a story to a mysterious person (hostage? the reader?) about the time he told a story about a story to Robin? Or did he tell the story to Alfred? Or was the story about Alfred? I don’t know. Doesn’t matter. So it’s about the time Bruce had a gun and shot at a bunch of train passengers to make them get off the train, and Man-Bat appears to help fight a fake Riddler, Deadman shows up as do a caveman Batman and a dinosaur Robin with a very unnerving smile. But back to the story which centers on…ummmm…giant bats, and Rhas Al Ghul, and some old guy, or…crud. Honestly, I have no freaking clue what this series is about. I will say that even though Batman often goes from smiling one moment to psychotically angry at the flip of a switch, this comic is beautiful to behold. It’s Bat-Bonkers to the extreme and a heck of a lot of fun, especially since the story is being told to us or to the hostage-person (not sure which) by a, for all intents and purposes, naked Bruce Wayne. Wait…What?!?! No joke. To be honest, this story cannot be summarized. You just need to experience it in all its glory and go with the flow. Whether you are a fan of the Bat, or a fan of Adam’s gorgeous art, this massive tome is something no true fan should be without. Even if you read only an issue a night, you will be reading this book for a good long while. I loved every page of this beauty, and in between reps of doing curls with this thing, I can also prop up my car when I go to change the tire. 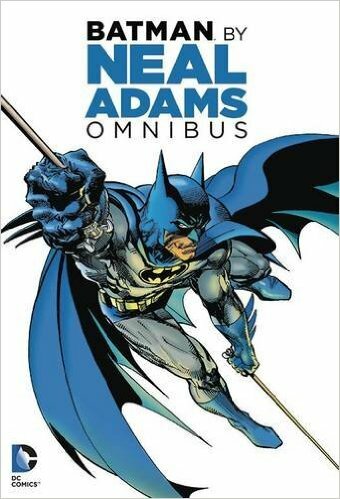 You need the Batman by Neal Adams Omnibus, Denizens. You can also tell me what Batman Odyssey is about…I double dog dare you to try. Treat yo self! VERY HIGHLY RECOMMENDED! I am Sick of Being Sick - After all of the home-based calamities over the month of July, I of course had to go and get sick. I’m sure it all had something to do with the stress, but it didn’t help that most of my department at work fell ill as well as a good portion of the rest of the office. Oh well, if anything, the illness forced me to slow down and lie around for most of last weekend, and I was able to finish the absolutely fantastic sci-fi novel Leviathan Wakes by James S.A. Corey. This book has it all: futuristic colonization, a mystery, a hardboiled detective, a dire plot, and even a deadly threat. Now that I finished the first book and I prepare to launch into the audiobook of the sequel, I am gearing up to watch the television version of Leviathan Wakes called The Expanse, which I will be watching this weekend as I attempt to shake the remnants of this damned cold. I can’t wait to continue with this compelling-as-all-heck story. Check it out when you can.